Michael MacDougall (left) of the Paul Lawrie Foundation, who is standing down as secretary/organiser of the NE Alliance after next week's final fixture of the 2017-2018 season at McDonald Ellon GC, presents the Uniroyal Quaich to the championship winner, Chris Robb. Picture by Cal Carson Golf Agency. 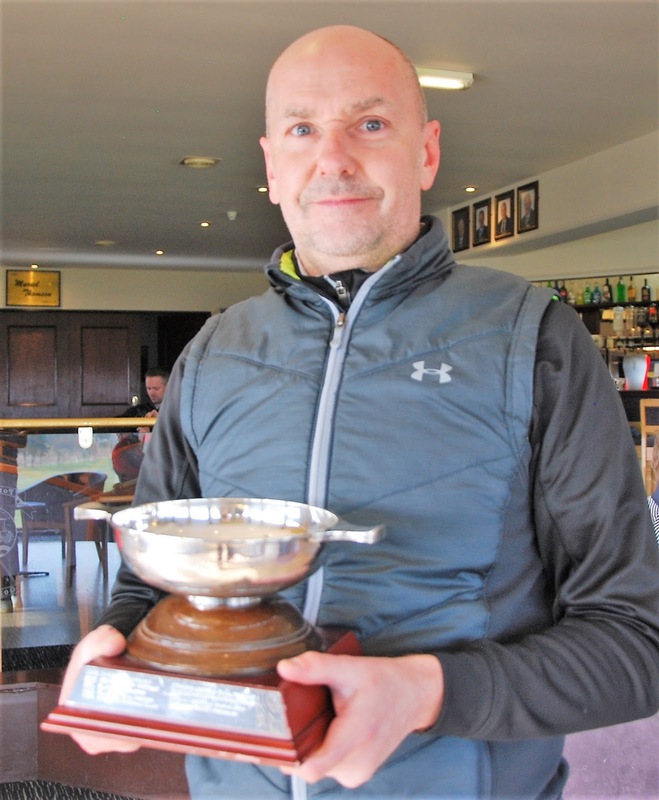 Chris Robb (Meldrum House) survived a shaky start to win the North-east Golfers Alliance 36-hole championship for the first time at Newburgh on Ythan Golf Club today (Wed). The former Scottish amateur champion from Banchory started the day with a three-stroke lead carried over from a first-round 65 at Portlethen but within three holes (bogey-triple bogey-par) of his second round he was trailing Paul Lawrie (Gleneagles) who started par-par-birdie. But Robb settled to cover the last 15 holes in six under par with birdies at the sixth, ninth, 11th, 13th, 14th and 17th and for a 70 and an eight-under-par total of 135. 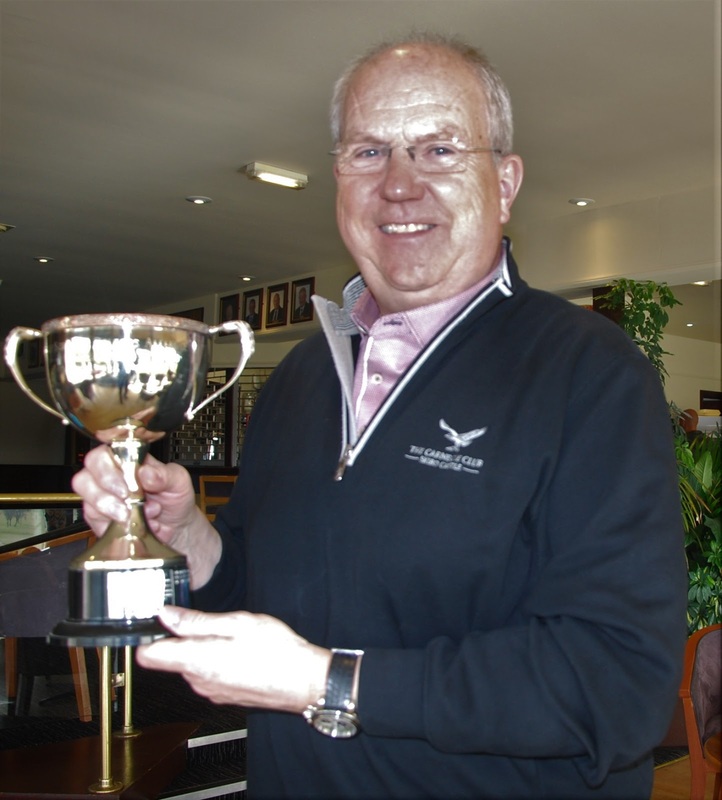 He won the title and the Uniroyal Quaich by three strokes from Lawrie (68-70 for 138), whose outward half of 36 included a lost-ball double-bogey 6, with Greig Hutcheon (68-72) in third place. Hutch ran up a double bogey 7 at the third where he went out of bounds, bogeyed the eighth and "missed as very short putt" at the 14th in halves of 39-33. Craig Lawrie (Paul Lawrie Golf Centre) won the £170 first prize in the 18-hole competition at Newburgh by heading a field of 86 competitors with a three under par 69, one ahead of Lawrie, Robb and Sam Kiloh, who had four 3s back to back from the 14th to the 17th inclusive in his 70, seven strokes better than his first-round effort at Portlethen. 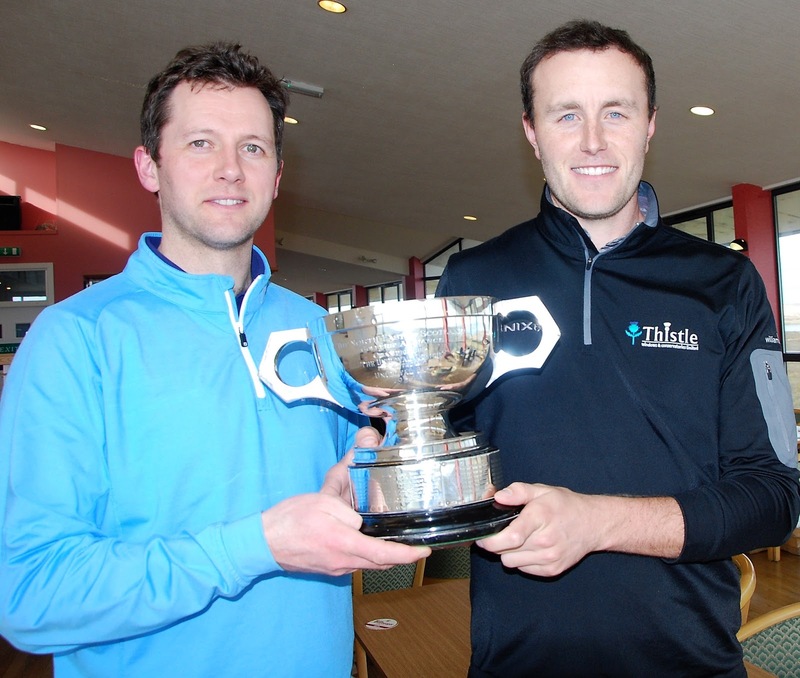 Craig blew his title chances last week at Portlethen with an uncharacteristic 79. Today he was back on song with five birdies in halves of 36-33 for a 69, the lowest of the day. UNIROYAL QUAICH (best scratch aggregate): Chris Robb (Meldrum House). J K HALL QUAICH (best amateur scratch aggregate): Brian Nicolson (Newmachar). 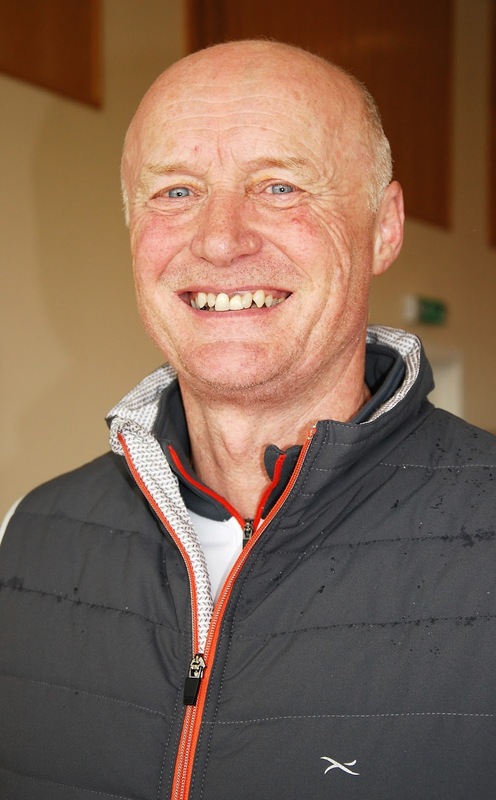 MAJOR'S POT (best Class 2 handicap aggregate): Graham Thom (Murcar Links). 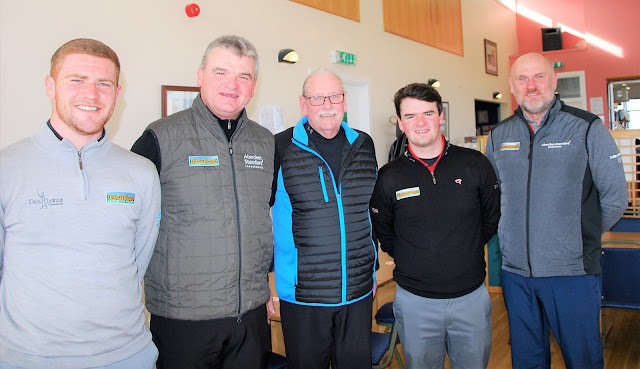 Former North-east Alliance joint secretary David Wilson (centre) from Turriff, flanked by the "Lawrie Clan," left to right: Sean, Paul, Craig and Sean's father, Steve. Picture by Cal Carson Golf Agency.